Archie is 12 years old, and his nick name is Ra Ra. He is, and always has been a very content, happy and sociable child, or should we say ‘tween’? George is 8 years old and is an identical twin. His nickname is GG. He is a wonderful caring child, whom from a very early age has been able to anticipate, and be sensitive to the needs of others. Isaac is George’s other half! His nickname is Teddy. He is a gorgeous, sensitive little boy who loves cuddles and kisses! Isaac’s greatest love is his brother George! 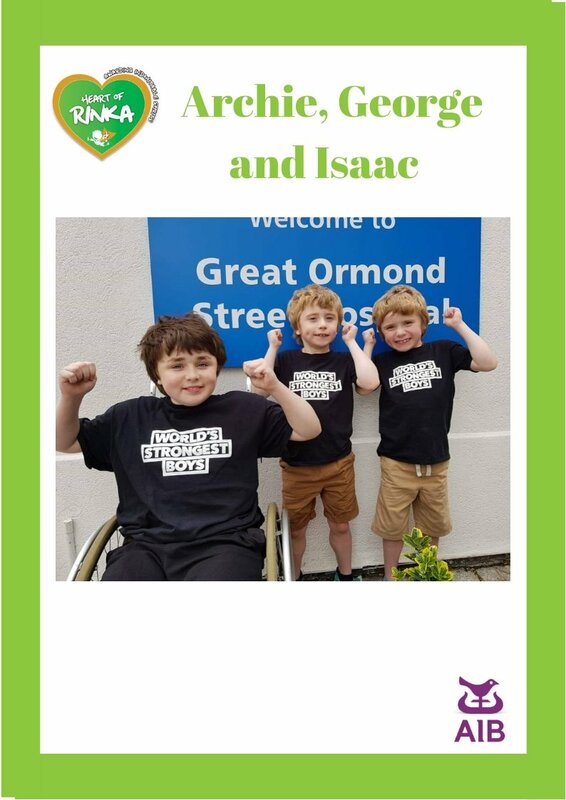 These three fabulous boys are the driving force behind the ‘Join Our Boys’ Trust and are fighting to raise money and awareness for the currently untreatable Duchenne’s, that all three of them have.